Though it is still not known wheth er sleep apnea actually causes heart disease, but the existence of their association is confirmed for sure. It has been observed that people with pre-existing heart-related problems including high levels of blood pressure, stroke and heart failure are more prone to be victims of sleep apnea as well. For example, if an individual is diagnosed with sleep apnea, chances are high that he or she will develop hypertension in the near future. It has also been seen that most sleep apnea patients are most likely to have several other health conditions. The redeeming news is that, when an apnea patient has heart failure or high blood pressure, apnea improvement is nearly always accompanied by reduction in the measures of blood pressure and heart failure. How does cessation of breathing affect the heart? When breathing stops, even for a m oment, the oxygen supply to the brain drops, with a simultaneously increase in the levels of carbon dioxide. This development makes the heart and brain to react almost instantaneously. While the heart works double-time to reduce the levels of carbon dioxide by pumping and throbbing harder and faster, the reaction of the brain involves sending out relevant signals to the nervous system for the blood vessels to remain constricted, in order to improve oxygen flow to the brain and heart. The entire episode when repeated several times in the night and over a prolonged period causes major wear and tear of the heart. Soon enough, the heart valves weaken and its pumping ability is grievously impaired. All this causes blood pressure to rise, which leads to hypertension and subsequently heart ailments like strokes, ischemic heart disease, heart attacks and also sudden death. The other responsible factors could be release of cortisol and elevation of C-reactive protein. 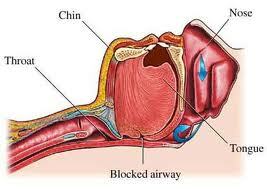 The impact sleep apnea has on the nervous system (sympathetic) results in an increase of coronary heart disease (CHD), cellular lining, metabolic disorders and inflammation. All these side-effects can cause the individual to have a heart attack. Strokes happen when the blood cannot flow properly through blocked arteries and blood clots are formed which restrict blood supply to the heart. 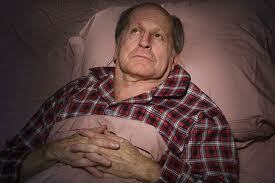 It has been estimated that 40 to 60% of stroke victims are also sleep apnea patients. 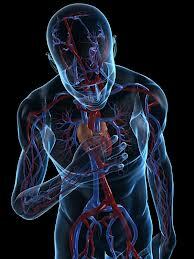 Reduced oxygen levels in the blood can narrow the blood vessels leading to the lungs. This causes blood pressure to rise which can ultimately result in heart failure. Untreated high blood pressure, when it persists for a long time eventually results in chronic heart failure. This is how sleep apnea and heart failure are linked. It has also been found that patients with sleep apnea have increased activity of the sympathetic nervous system (SNS) which monitors involuntary activities like heart beats, constriction of blood vessels, etc; while during sleep, such activities are reduced in a normal person. This enhanced activity of the SNS could make blood pressure shoot up to 250/150 during apnea episodes. Therefore the cause behind developing high blood pressure, heart ailments could be sleep apnea. Obesity is a predo minant trigger for the onset of sleep apnea. 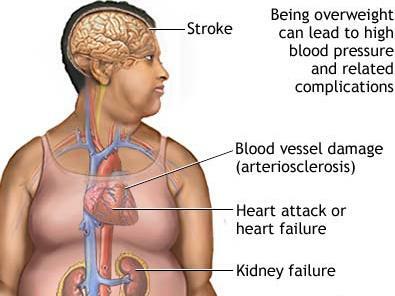 Interestingly, being overweight also increases the risk of developing heart ailments and stroke. Weight gain is both a symptom and an effect of sleep apnea as gaining unexplained weight is a good indicator of onset of the sleep disorder. 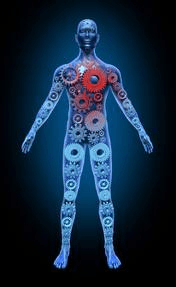 As is evident, a vicious cycle exists, between sleep apnea, heart problems and obesity. When heart is no longer heart-shaped! 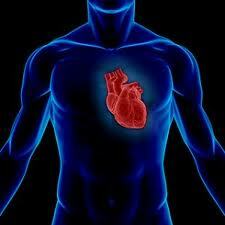 The heart can undergo certain structural as well as functional changes due to sleep apnea. Such changes are similar to those that happen when a patient suffers from high blood pressure for a prolonged period of time. This finding was published in one of the journals of the American Heart Association, called Circulation: Heart Failure. The UK-based researchers discovered that when the condition is between moderate and severe, sleep apnea could be responsible for changing the shape of the heart as well as functional abilities. Enhancement of mass, thickening of the walls of the heart and diminishing ability to pump blood, particularly of the left ventricle, were some of the changes noticed during the trial. However normalcy returned afte4r six months of continuous use of CPAP therapy. Not just raising blood pressure, sleep apnea also puts extra load on the cardiovascular system. For apnea patients risk of developing hypertension or high blood pressure is higher than those who do not have apnea. In fact, for apnea patients, risk of having stroke increases irrespective of whether the patient has high blood pressure or not. Repeated episode s of oxygen deficiency (medically known as hypoxemia or hypoxia) could result in heart failure and death. It has been observed that sleep apnea can result in atrial fibrillation (AF)which often results in stroke and heart failure. Atrial fibrillation is a kind of arrhythmia (irregular heart beat). During AF, the two chambers of the heart (known as atria) located on the upper region could contract very rapidly and in an irregular manner. The blood is thus inappropriately pumped inside the lower sections of the heart known as ventricles. This results in improper coordination between the two chambers. While obstructive sleep apnea shares links with congestive heart failure and other heart diseases, central sleep apnea is the outcome of such conditions and not the reason for the onset of heart ailments. How common is sleep apnea amongst patients with established heart failure? One study showed that close to two-thirds of patients with heart failure had sleep apnea. The connection could be due to the fact that sleep apnea raises blood pressure, which is an established pre-cursor to heart failure. 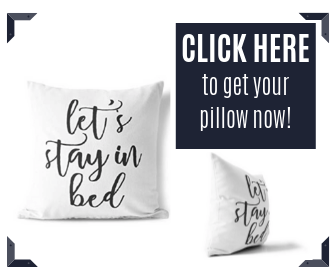 The other point of connection is that sleep apnea makes the patient more prone to myocardial infarction as well as heart attack irrespective of the presence of high blood pressure. This could also lead to heart failure. One study showed that one of the basic reasons for the increasing deterioration of the course of heart failure is sleep apnea. – An enhanced risk of rise in blood pressure, stroke, obesity, diabetes and heart attack. 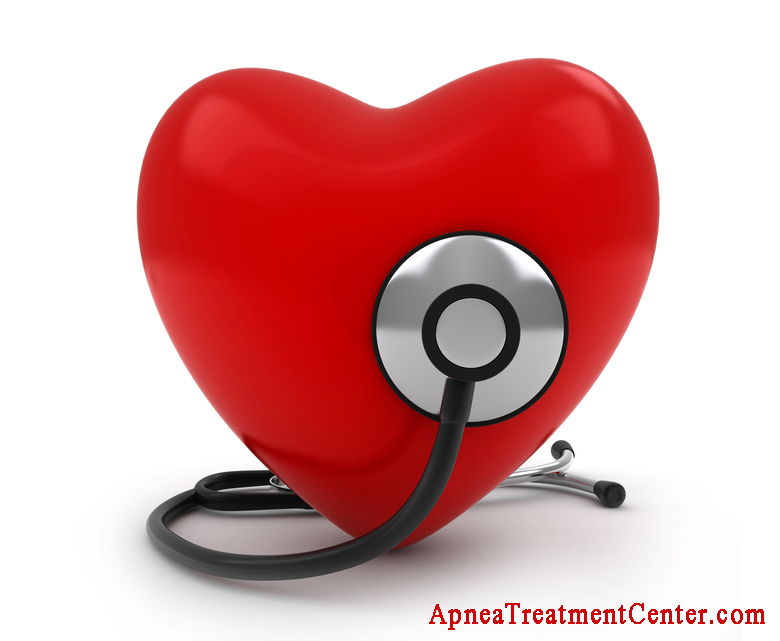 – Sleep apnea can make one prone to or further deteriorate existing heart failure. – Cause irregularity of heart beats. – Risk of encountering accidents on the road and at the workplace increases (primarily caused by excessive daytime sleepiness). Sleep apnea and heart failure: what about treating the conditions? The study published in the journal of the American Heart Association, called Circulation: Heart Failure, it was found that six months of non-stop use of CPAP therapy not only restored normal obstruction-free breathing, but also improved the adverse heart conditions of the patients. Researchers recommend that doctors who examine patients with high blood pressure or hypertension, whether these patients snore or show any other sleep apnea symptoms like gasping, choking during sleep, etc. During such investigations, bed or room partners can also help the doctor by narrating their own experiences regarding the kinds of signs the patient shows during sleep. Patients of heart failure are specially advised to talk to the doctor, about recommending an overnight sleep study or polysomnography, in case they experience some of the typical signs of sleep apnea, including loud snoring, recurrent breathlessness during sleep, abnormal weight gain, daytime lethargy, etc. What is the role of CPAP in improving heart conditions? – Makes the heart work more efficiently by lowering the quantum of ventilation necessary; lowers the sympathetic action of stress hormones; enhances the stamina of muscles involved in respiratory functions by enhancing the volume of air inhaled by the lungs, thereby increasing the volume of stored oxygen; lowers stress on the heart during pumping activity; and helps in lowering heart size. 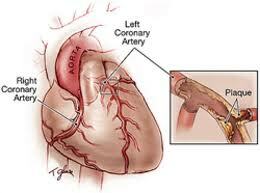 – Patients with heart failure usually have lungs which are small because of the existing dilation of the hearts. This causes accumulation of fluids at lung base and weakening of lung muscles. CPAP helps in widening the chest which in turn prevents fluid accumulation and improves the functions of the entire respiratory system. 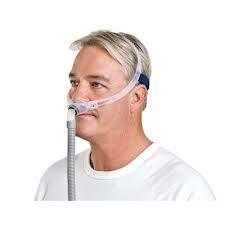 In short, CPAP helps in expanding the inner volume capacity of the lungs. How to manage and prevent sleep apnea and heart disease? If you a re patient of heart problems including high blood pressure, diabetes, etc you should ask your doctor if a sleep study is necessary for detecting sleep apnea, since this condition is so closely associated with heart ailments. Remain alert about the way you sleep and watch out for any sleep apnea symptom that you may be experiencing. There are many factors which contribute to the onset of heart problems as well as sleep apnea – many of which are common. Learn about them as early as possible so that you can protect your heart as well as prevent sleep apnea to set in. 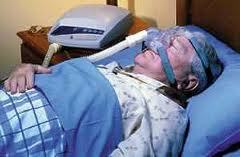 Get to know the advantages of CPAP therapy and talk to your doctor whether this treatment would be suitable for you. You owe it to your heart!